Taco Bell®, a subsidiary of Yum! Brands, is the nation’s leading Mexican-style quick service restaurant serving more than 36 million customers each week in over 5,900 stores in the U.S. Since its founding by Glen Bell in 1962, Taco Bell has become the second most profitable brand in the country. In 2012, Taco Bell celebrated its 50th anniversary, with the launch of the Live Mas® brand campaign, the reinvention of the taco with the revolutionary Doritos® Locos Taco, and the introduction of the game-changing Cantina Bell® Menu. At Taco Bell we put our customers front and center, delivering excellent customer service, innovative and delicious products and value. In 2013, we ranked #6 on the QSR 50 list, were named Ad Age “Marketer of the Year,” and reached over $1 billion in sales of Doritos® Locos Tacos. “Live Mas®” is more than a company tagline; it’s a way of life at Taco Bell. 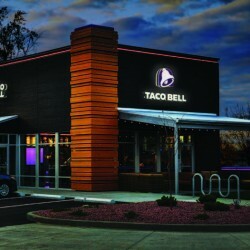 While Taco Bell is primarily a U.S. brand, Yum! Brands plans to make it the Company’s third global brand. Outside the U.S., we have nearly 300 Taco Bell units in 20 countries. Yum! 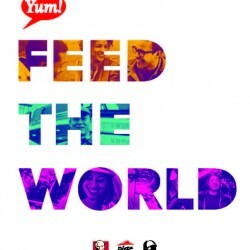 Brands, Inc., (NYSE: YUM), based in Louisville, Kentucky, is one of the world’s largest restaurant companies with over 41,000 restaurants in more than 125 countries and territories. Yum! Brands is ranked #216 on the FORTUNE 500 list with revenues of more than $13 billion and in 2014 was named among the 100 Best Corporate Citizens by Corporate Responsibility Magazine and one of the Aon Hewitt Top Companies for Leaders in North America. Our restaurant brands – KFC®, Pizza Hut® and Taco Bell® – are the global leaders of the chicken, pizza and Mexican-style food categories.